Editing is often seen as one item on a list of steps in the writing process—usually put somewhere near the end, and often completely crowded out of writer's workshop. Too many times daily editing lessons happen in a vacuum, with no relationship to what students are writing. In Everyday Editing, Jeff Anderson asks teachers to reflect on what sort of message this approach sends to students. Does it tell them that editing and revision are meaningful parts of the writing process, or just a hunt for errors with a 50/50 chance of getting it right—comma or no comma? Instead of rehearsing errors and drilling students on what's wrong with a sentence, Jeff invites students to look carefully at their writing along with mentor texts, and to think about how punctuation, grammar, and style can be best used to hone and communicate meaning. 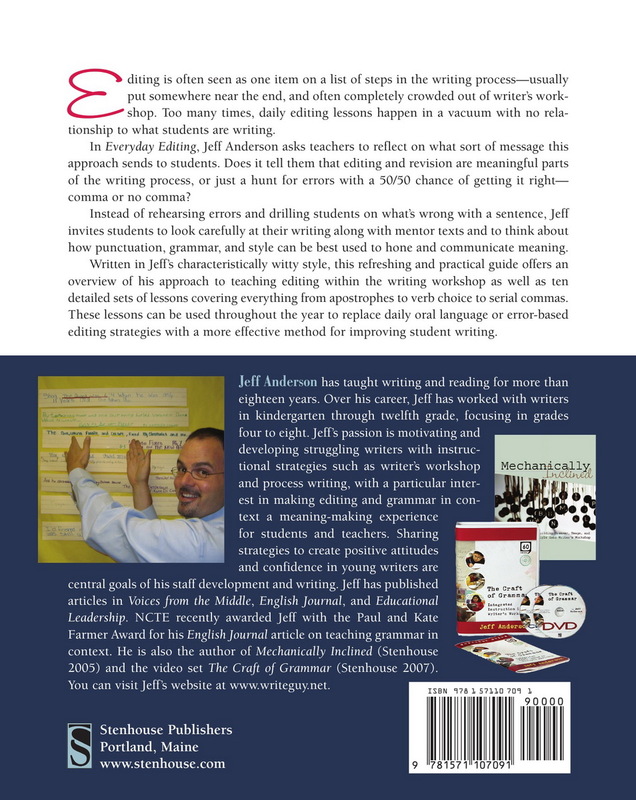 Written in Jeff's characteristically witty style, this refreshing and practical guide offers an overview of his approach to editing within the writing workshop as well as ten detailed sets of lessons covering everything from apostrophes to serial commas. These lessons can be used throughout the year to replace Daily Oral Language or error-based editing strategies with a more effective method for improving student writing. Introduction: Why Do My Students Hate Grammar and Editing? Chapter 1: What Is Editing Instruction? 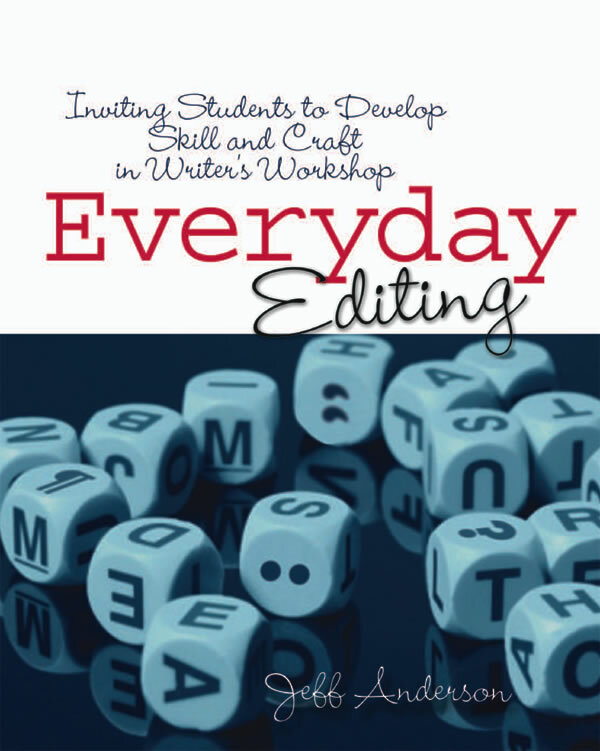 Chapter 2: Why Invite Students into an Editing Process? Chapter 3: What Do Editing Invitations Look Like in the Classroom?